Abbey Chemist was first set up in July 1986 by community pharmacist Asgher Mohammed who took over an existing pharmacy in the centre of Paisley, opposite Paisley Abbey, hence our name. Two more pharmacies were subsequently added to the chain in Lonend, Paisley in 1988 and then Trongate, Glasgow in 1991. 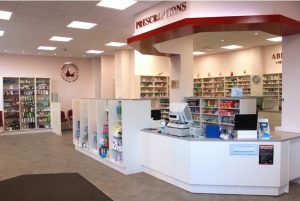 The emphasis from day one has always been to improve patient care by providing a wide range of accessible pharmacy services from modern premises by our friendly, trained staff. We have enjoyed a good rapport with local doctors surgeries and have been providing services to the community for almost 25 years.